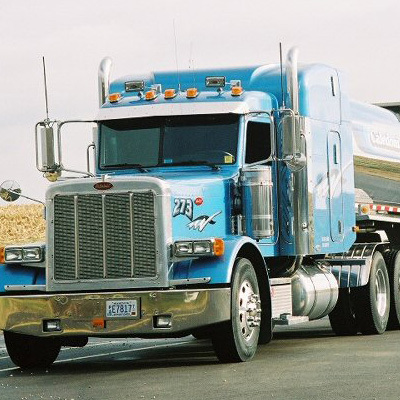 2001 – Caledonia Haulers started with its growth for the year 2001 by purchasing nine more trailers and 13 more trucks. We started an engine interface with our satellite system that lets them look at engine information such as idle time and fuel consumption on individual trucks or the entire fleet. August of 2001 – We started a Driver of the Year program, black topped the rest of the yard, and added a cement pad to park trailers.